FinishLine is having a mad end of season with 50% off on Apparel and footware for Men, Women, and Kids. 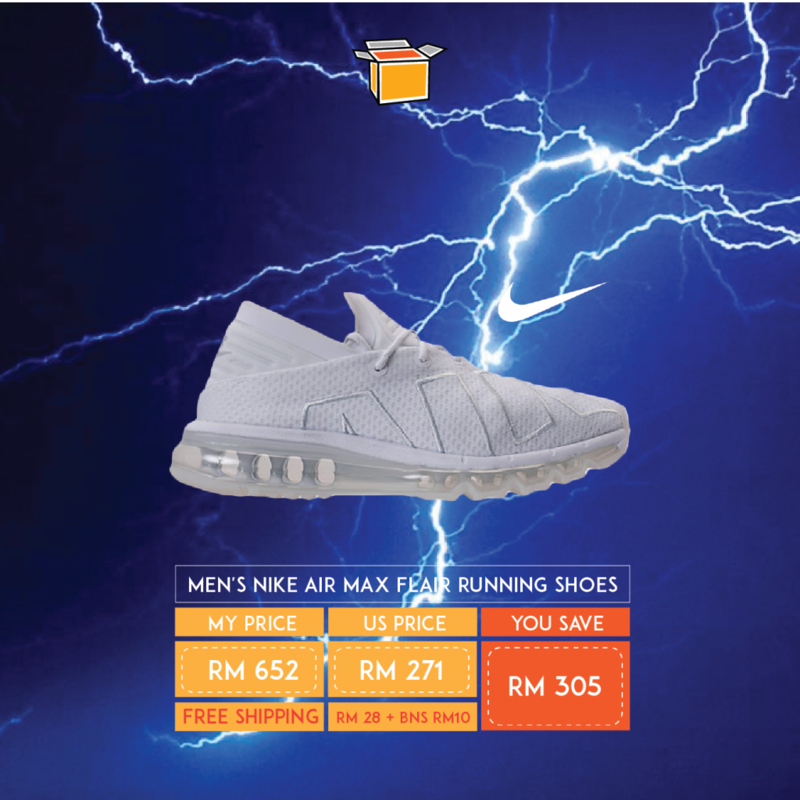 You can save so much and the catalogue on offer is impressive – like this Air Max Flair for runners where you can save over RM300! Get it sent to our US warehouse for US$7 shipping per shipment (no limit to how many shoes) and we’ll make sure it gets to you at RM10/lb!